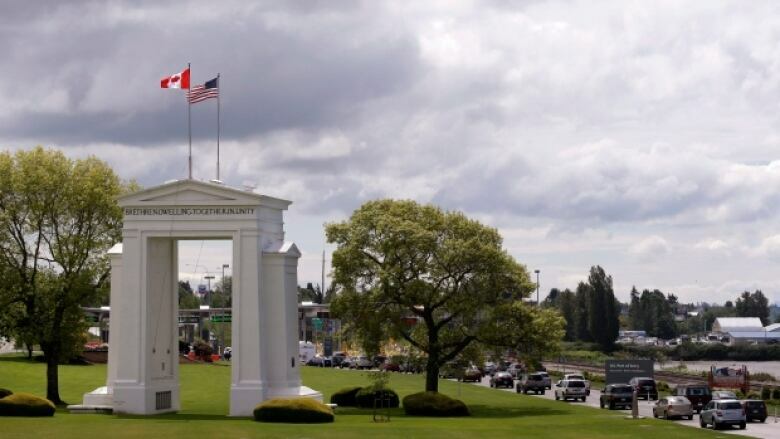 The surge of asylum seekers walking across the Canada-U.S. border, in Surrey B.C., accounts for 80 per cent of the people who have made refugee claims in Vancouver, B.C., since April 2016. Of the 1,140 refugee claimants who have reached the Lower Mainland, 912 simply walked through Peace Arch Park at the B.C.-Washington border. Iraqis account for the largest number of new asylum seekers with 65 in the past three months. "For the Iraqis, there is a little bit of an underground railroad," said Chris Friesen, the Immigrant Services Society of B.C. 's (ISSofBC) director of settlement services. "There is a network that is supporting them to reach the Canada-U.S. border and cross it to find their way into Vancouver to make their refugee claim." The majority of the asylum seekers, according to Friesen, have legal permits to be in the United States as tourists or students but some are undocumented immigrants. Friesen says in recent months, they've increasingly made decisions to seek refuge in Canada and avoid the possibility of being sent back to their home countries because of U.S. President Donald Trump's tough talk on refugees and illegal immigrants. Mexicans are also making up a growing segment of new arrivals at ISSofBC's welcome centre in Vancouver. "Since December, we've seen 29 individuals and that is the same number that we saw for all of the preceding year," said Friesen. On December 1, 2016, the federal government removed its requirement for Mexicans to have a visa to come here. Friesen says that makes it easy to arrive as a tourist and not go home. "We have a lot more inquiries from Mexicans, in Mexico, trying to better understand how Canada's asylum process works and what they would experience if they did show up in Canada and declare a wish for asylum," he said. Organizations like ISSofBC that assist new refugees in B.C. are watching closely as the Trump administration develops additional executive orders and policy directions. If there is a real movement to accelerate the number of removals of undocumented immigrants from the United States, Friesen expects there will be an impact on the number of people fleeing to B.C. "To what degree, we don't know. But it will have an impact on those who are continuing to cross the land border." The immigrant and refugee advocacy group No One Is Illegal reports a constant stream of inquiries in recent weeks from new arrivals and those who hope to make a run across the border. "We've seen an overall increase in people who have been calling particularly since the election in the United States," said organization spokesperson Harsha Walia. "I did meet with two Mexican families yesterday who are trying to bring their families as refugees into Canada in the near future." The group is developing a multi-lingual resource guide for potential refugees, so they understand Canada's asylum policies before they attempt to cross the border. "Mexican refugees are routinely denied. It's one of the highest refusal rates in Canada," said Walia. Belle Puri is a veteran journalist who has won awards for her reporting in a variety of fields.